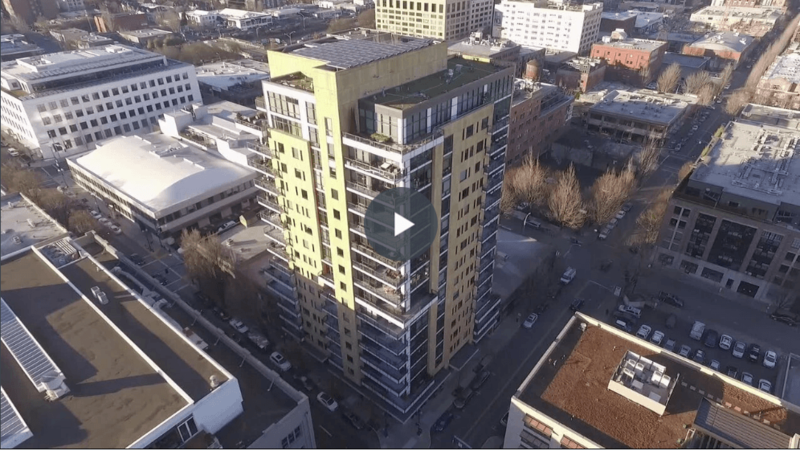 Located in the Pearl District at NW 12th and Everett, The Casey was designed to be one of the finest residential buildings in the city. With 16 stories, It has only 61 units, most with two or more bedrooms. The Casey Portland has achieved an LEED platinum rating making it one of the most environmentally friendly and sustainable buildings in the country.The developer, Gerding/Edlen, was the first to achieve a top “platinum” rating under the U.S. Green Building Council’s Leadership in Energy and Environmental Design program. For a showing of an available unit at The Casey in Portland, call Brad Golik at 503-896-8856.